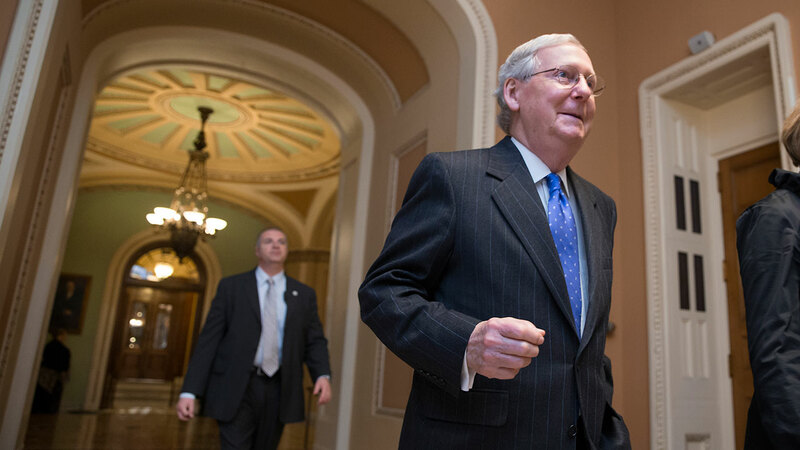 WASHINGTON -- Openly welcoming a preordained veto, Republicans drove legislation to Senate passage Thursday aimed at crippling two of their favorite targets: President Barack Obama's health care law and Planned Parenthood. Republicans said an Obama veto - which the White House has promised - will underscore that a GOP triumph in next year's presidential and congressional elections would mean repeal of a statute they blame for surging medical costs and insurers abandoning some markets. They lack the two-thirds House and Senate majorities needed to override vetoes, assuring that the bill's chief purpose will be for campaign talking points. With just a 54-46 edge, Republicans had until now been unable to push such legislation through the Senate. This time, they used a special budget procedure that prevents filibusters - delays that take 60 votes to halt - and lets them prevail with 51 votes. As they worked through the bill, senators voted on over a dozen amendments - all symbolic, since the measure was destined to never become law.